The most accurate free PDF to HTML Converter to convert PDF to HTML. 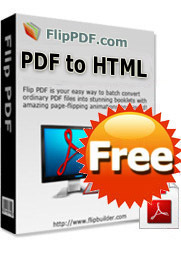 FlipPDF to HTML Converter is the best PDF to HTML Converter to convert PDF file to HTML file for you. Support Command line mode and watched folder (Hot Dir) mode to convert pdf to HTML. 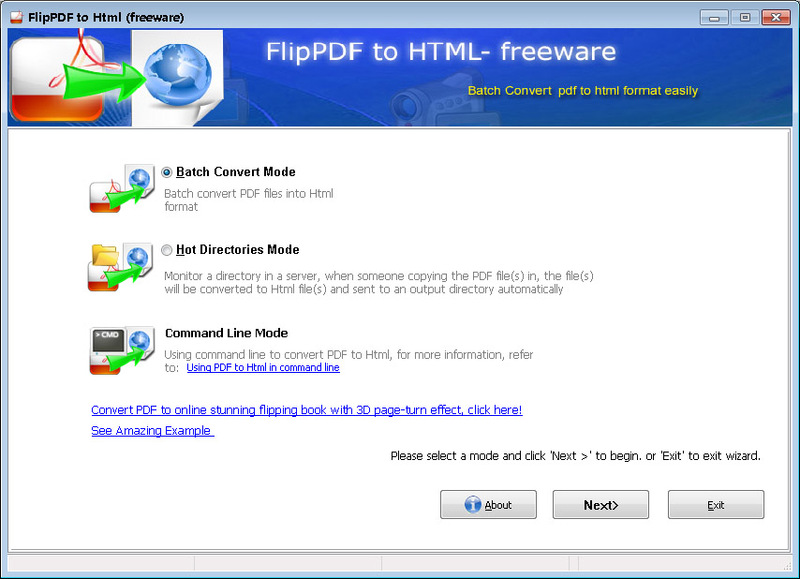 FlipPDF to HTML Converter is a 100% free, professional and accurate PDF to HTML Converter software. It can help you convert PDF file to HTML, and then you can view it with your browser, such as IE, Firefox, Chrome, Safari, Opera, etc. And we can guarantee that this PDF to HTML will preserve the original texts, images, forms and everything. You can even choose the specific page(s) to convert. After PDF to HTML conversion, it preserves the original layouts, text content, images, and hyperlinks, make your PDF documents visible and fully searchable on the web..
PDF to HTML Converter supports Batch Mode that converts a lot of PDF documents to html files at a time.